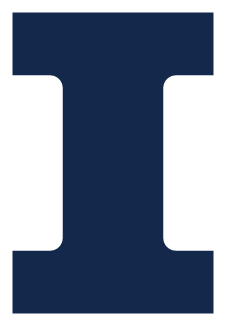 To ensure the proper use and management of University resources and required review and oversight of public art gifts to the University of Illinois at Urbana-Champaign. Public art may be funded through Capital Projects. Public art may also be funded by one or more donors to the University. These gifts may be given to an endowment fund, a current use fund, or they may be a gift-in-kind. Art may be located on campus, at Allerton Park and Retreat Center, and the Arboretum. Public art installations on University property (including the Urbana-Champaign campus, Allerton Park and Retreat Center, and the Arboretum) must be reviewed and approved by appropriate entities, and all gifts must be processed through the University of Illinois Foundation. Exterior or interior spaces accessible to the general public. Exceptions include offices, laboratories, studios, and residential rooms. Includes, but is not limited to, paintings, sculpture, works on paper, and new media works. The Facilities & Services Director of Planning, Director of the Allerton Park and Retreat Center, or the Director of the Arboretum, after consultation with a donor, reserves the right to determine which art will be installed by the campus. Directors of the Allerton Park and Retreat Center and the Arboretum shall work through the Director of Planning. The art is subject to review by the Architectural Review Committee, the Chancellor’s Design Advisory Committee, and appropriate University officials. The scope of some projects may require the approval of the Chancellor’s Capital Review Committee. Applicants begin the process by completing and sending the appropriate form to the Director of Planning, Facilities & Services, Physical Plant Services Building, 1501 South Oak Street, Champaign, IL 61820. To have a piece of art installed, funding must be confirmed through either the project or a gift made to the University. The amount of this gift will be established by the Director of Planning and, as appropriate, either the Director of the Allerton Park and Retreat Center or the Arboretum, and will be based on the proposed scope of the project and the required future maintenance. All costs in conjunction with the replacement of the art installation as described under the “Warranty” will be incurred by the Stewardship Program. For the duration of its life span, each commemorative tree, planting, and object will be maintained by the appropriate campus unit through an endowment. If a piece of art becomes unsightly due to vandalism or acts of nature (as determined by the Director of Planning and, as appropriate, either the Director of the Allerton Park and Retreat Center or the Arboretum), it will be repaired to the greatest extent possible, within available endowment funding. If unforeseen construction (such as utility repair) causes the removal of a piece of art, the donor will be notified (if applicable) and it will be relocated in an appropriate location. The details of all art repairs will be determined by the Director of Planning and, as appropriate, either the Director of the Allerton Park and Retreat Center or the Arboretum. All records and recognition measures as described below will be updated and renewed in conjunction with any changes with the art installation. After installation, each piece of art will be photographed, sited from two or more reference points, and its description will be recorded and filed with Facilities & Services (F&S). A copy will be forwarded to the donor of the gift, the University of Illinois Foundation, F&S Director of Planning, and when appropriate, the Allerton Park and Retreat Center or the Arboretum. Each piece of art will be recognized by means of a standard campus plaque. On campus or in the Arboretum, the plaque shall be cast aluminum, bronze finished, no larger than 10”X12”. At the Allerton Park and Retreat Center, the plaque should be an etched stainless steel plaque (consistent with the plaque in the Avenue of the Chinese Musicians), and shall be no larger than 10”X12”. The plaque should be appropriately mounted and displayed as approved by the Director of Planning and, as appropriate, either the Director of the Allerton Park and Retreat Center or the Arboretum. The F&S Director of Planning and, as appropriate, either the Director of the Allerton Park and Retreat Center or the Arboretum will develop exact wording and layout for each plaque after receiving advice from the donor. Prior to printing of each plaque, a mock-up will be sent to the donor for a review of accuracy. Questions regarding this policy may be addressed to the F&S Planning Division, (217) 244-8817.